CREATe’s All Hands conference (15-16th September 2014), while on one hand, provided the mainly internal consortium delegates with an opportunity to network and share research updates, it was also a platform for external academics, such as myself, to get close to the heart of CREATe’s work and meet the people behind its early success. As a media management researcher, I am interested in the business models of media and cultural businesses, and it was natural that I was intrigued by how a group of academic lawyers, technologists, sociologists and political scientists conceptualized ‘business models’ – something which was previously the domain of either economists or business academics, mainly those who studied strategic management, and where the phrase ‘business models’ can be a rather specific technical term. The two days spent in Glasgow, where the conversation during lunch and tea breaks was always on the verge of veering into Scottish independence and the referendum later that week, did answer the question to some extent. Regulatory frameworks, mainly copyright, are central to the genesis of ‘new’ or ‘better’ business models in media or cultural industries, and it became clear why RCUK made one of their biggest investments for the study of cultural and creative industries by funding an interdisciplinary centre for copyright and ‘New Business Models’, consciously rooted not in a ‘business’, but ‘law’ school of the University of Glasgow. The Charles Rennie Mackintosh designed ‘House for An Art Lover’ was a fitting backdrop to discussions surrounding the innovation, protection and consumption of cultural and creative products. My overarching view of the multitude of topics was the diversity of research which was being conducted in CREATe at the leading edge of both knowledge and practice. Although diverse, the organizers stupendously managed to squeeze in the conference agenda four easily digestible themes: ‘Books, Publishing, Archives and Libraries’; Music; Games, Audio-Visual and the Digital World; and; Analogue Industries, Sport and Events. 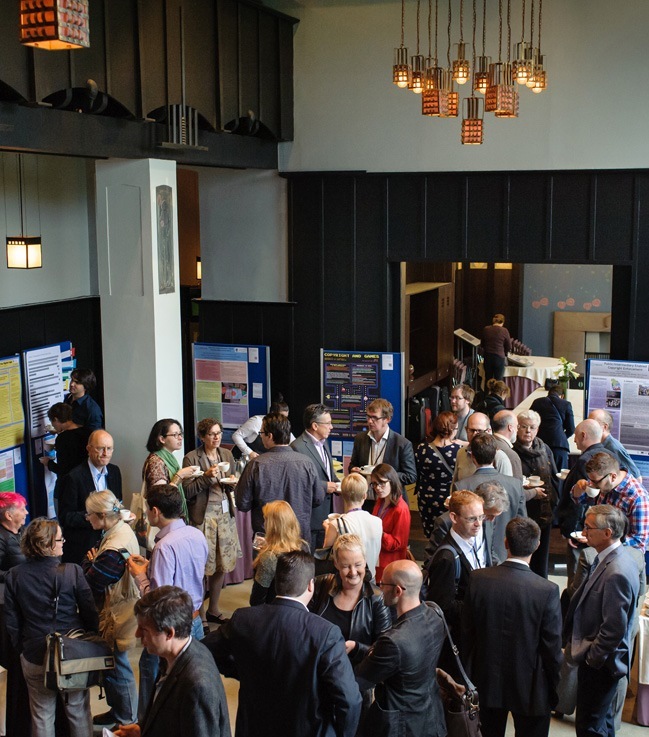 I was particularly delighted to see deep industry integration within several research projects with several practitioners, from within cultural industries and their associations, contributing passionately to the conversations and mixing freely with academics during the breaks. What interested me most was how CREATe often interspersed research presentations and findings with industry practitioners who were deployed to provide a ‘response’ (I suppose in the sense of ‘real life validation’?) to the academic presentations. Although some practitioners’ comments made me think that they are perhaps looking for more specific practical solutions to immediate problems, whereas some of the academic projects were at a slightly more abstract level – still the meeting of the two tribes can only be a good thing! 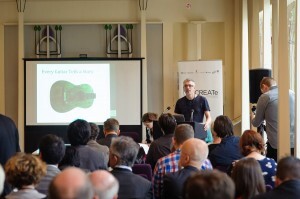 The presentation that provided a lasting impression on me was delivered by Professor Steve Benford (University of Nottingham) whose research into ‘aestheticodes’ etched on guitars raised several interesting questions about cultural memory, ownership, heritage, and legacy of such an impressive cultural product. Of course, if we can sort out the issues of monetisation, exploitation and business model innovation, while we are strumming the guitar, it would be time well spent. Whilst creativity and innovation remain central to the cultural and creative industries, finding new ways to generate and sustain economic growth is a priority for practitioners, and studying it to solve underlying, and often not easily explained, problems must be a priority for those in academia. As someone interested in the area of economic and business models innovation in the media industries, I hope CREATe engages in research which differentiates, where possible, between ‘economic models’ (which are more apt for industries) and ‘business models’ (more so for firms and SMEs) – drawing out this distinction may help industry practitioners to take more notice. Perhaps herein lie some cues for CREATe 2.0.